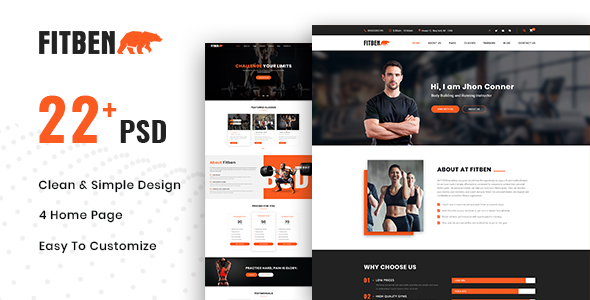 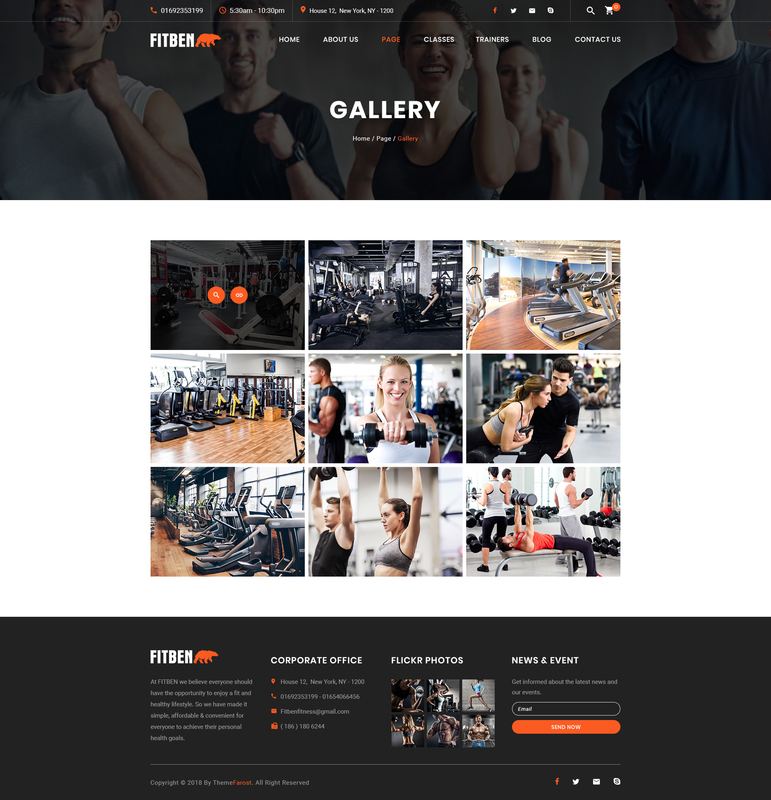 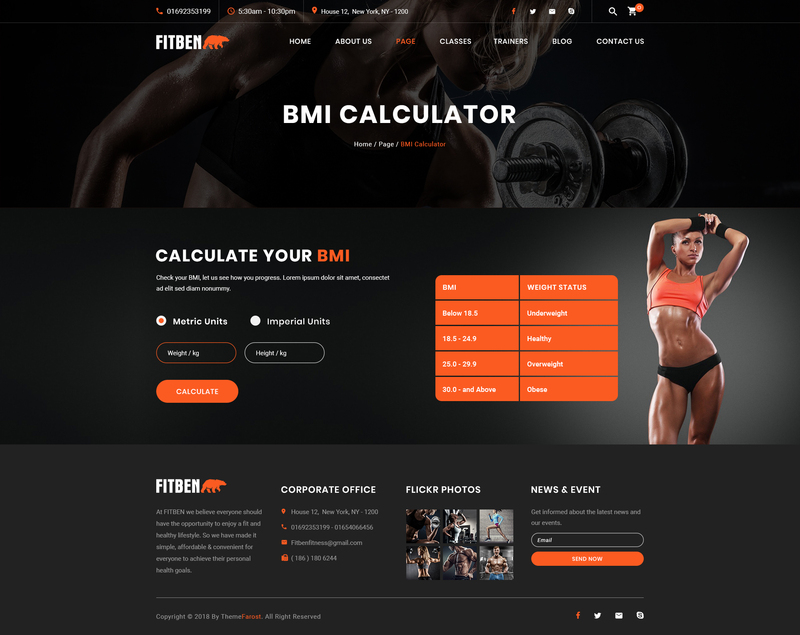 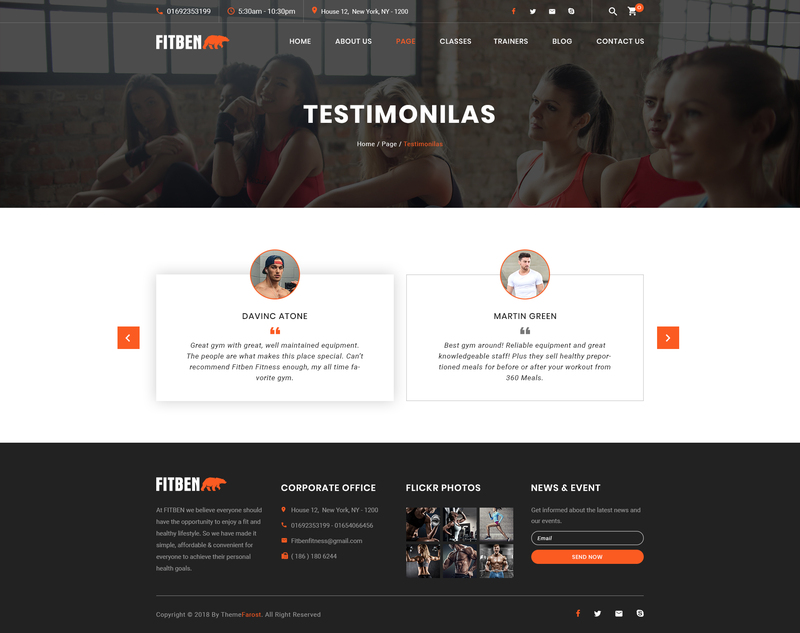 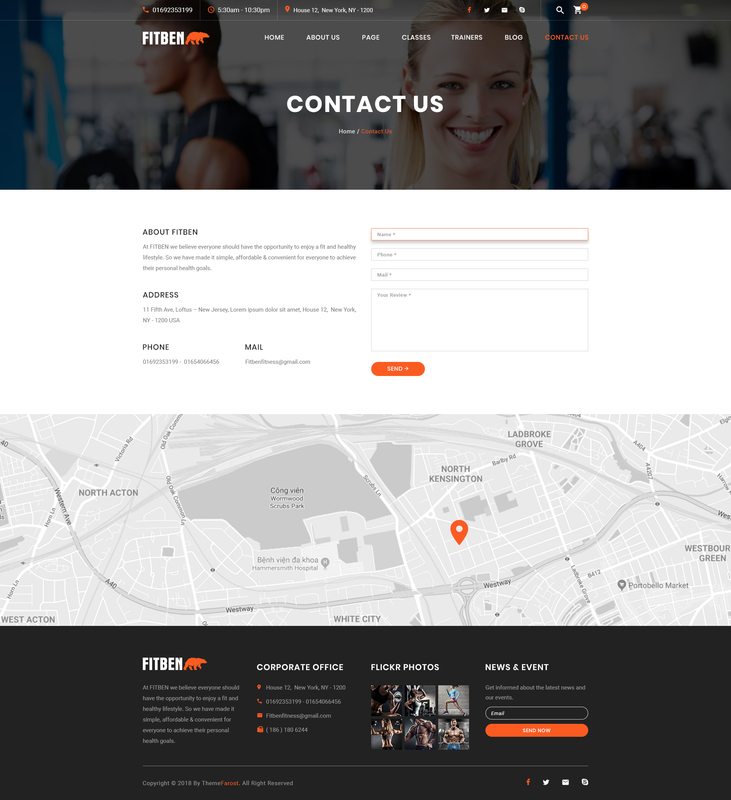 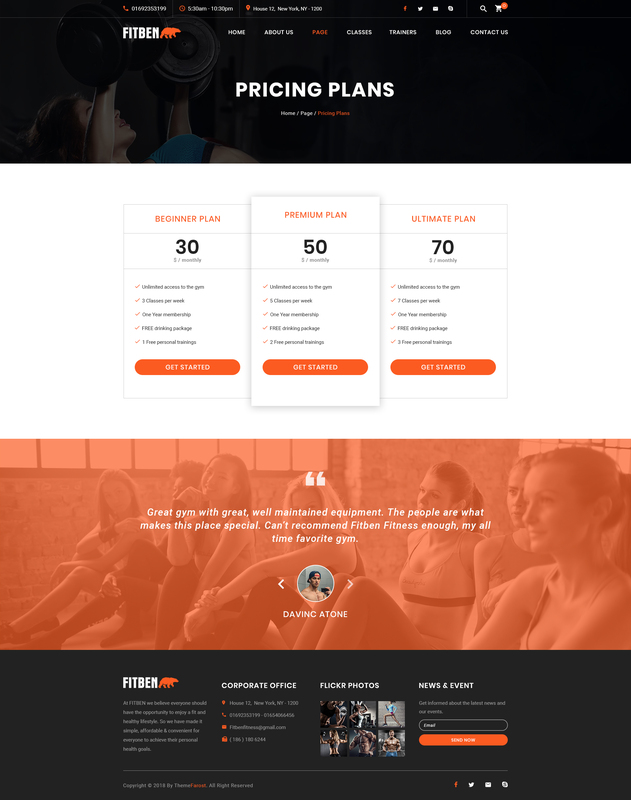 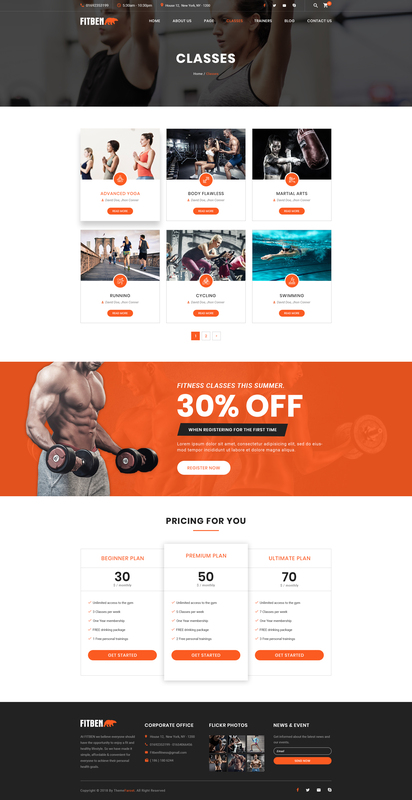 FITBEN Psd Template is a PSD Theme for Gym, Fitness Center or Health Club. 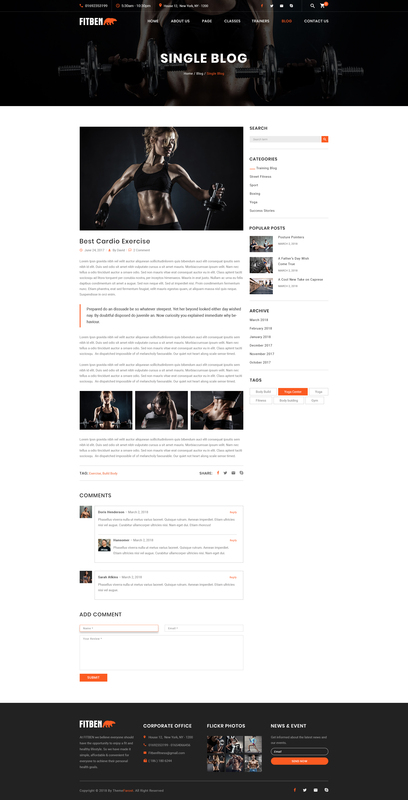 This Theme is clean and well organized. 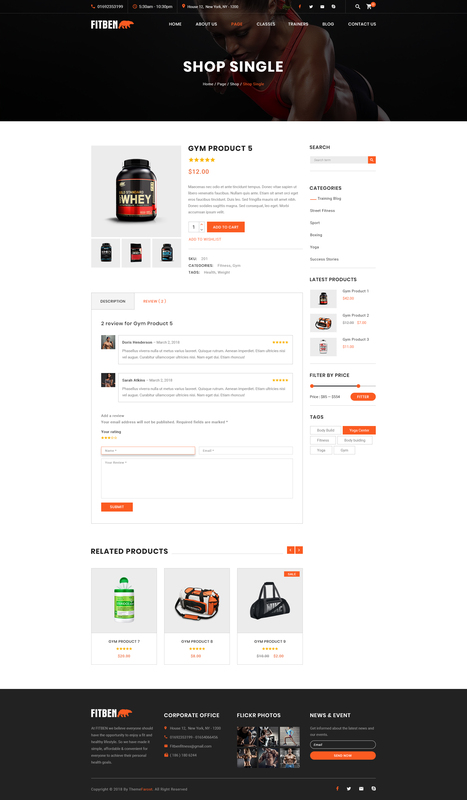 It has Hover Effects and Unique Banners. 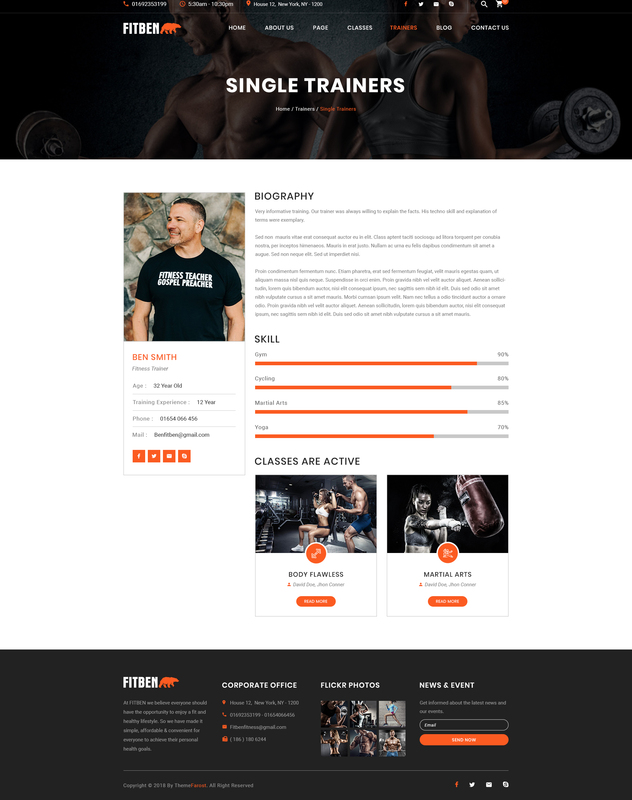 The Trainers page and Practices page list the services delivered by Trainers and by the Facilities. 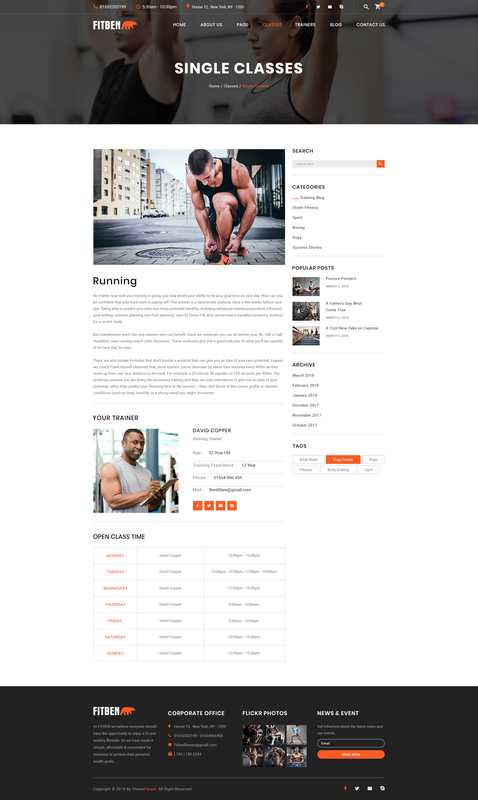 This feature tags the course to the trainer and vice versa. 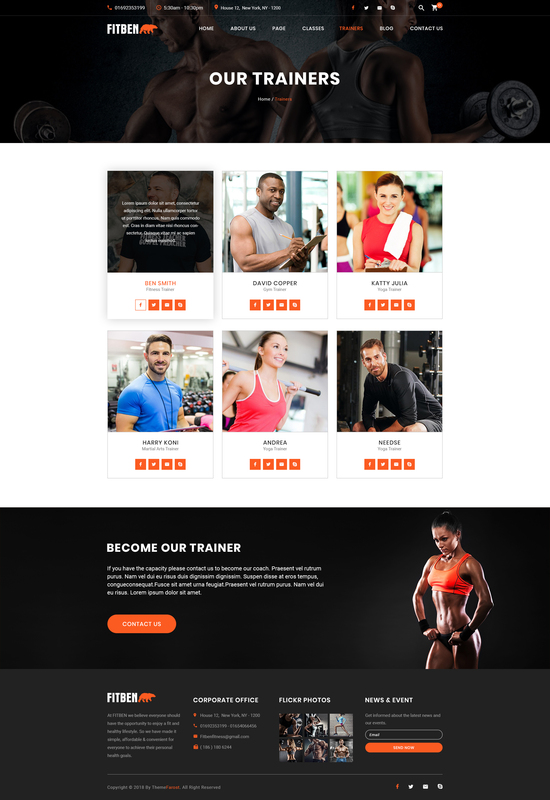 All that you have to do is to decide on the course or class you want to join and check out on the site. 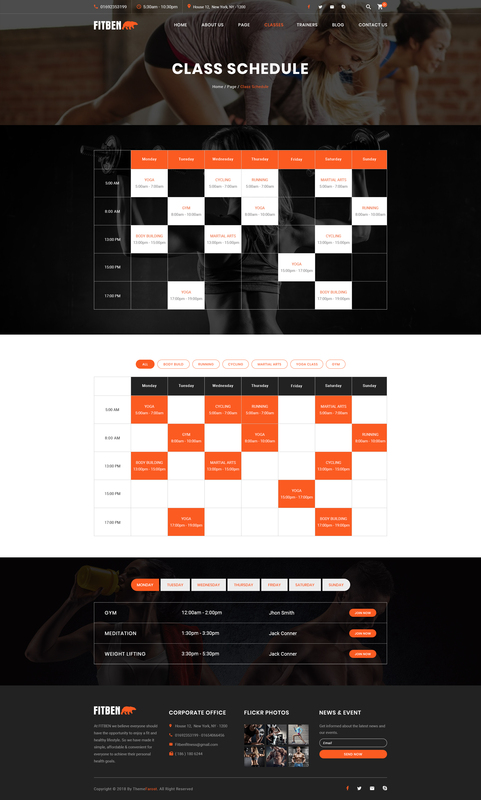 FITBEN has purpose oriented design and comes with events / classes, schedule / timetable, opening hours. 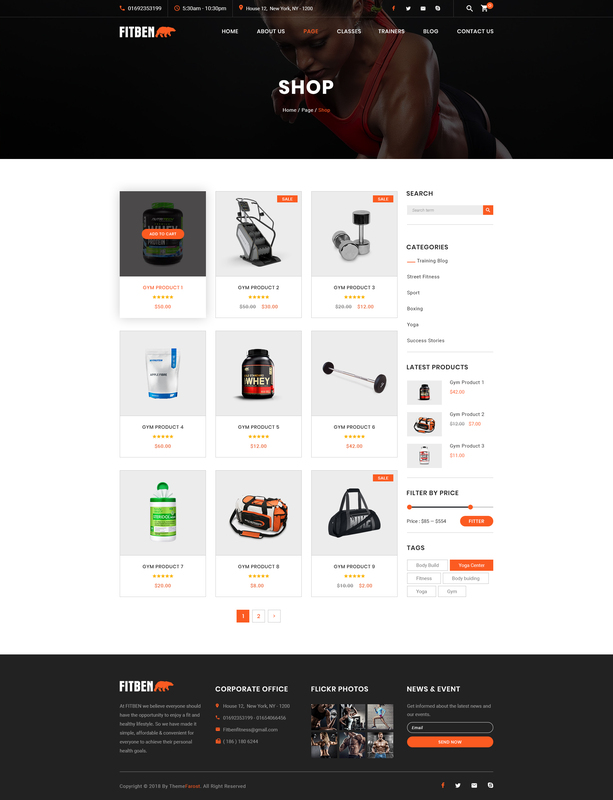 It is suitable for users with zero programming skills as well as advanced developers.